Potassium formate, the salt of formic acid, is an efficient alternative to potassium acetate with a lower chemical oxygen demand (COD) that reduces wastewater treatment costs, minimizes harmful environmental effects, and ensures a sustainable environment. NASi’s Alpine RF-14F is a liquid deicer that is manufactured through a reaction with BASF’s formic acid to produce a potassium formate solution. 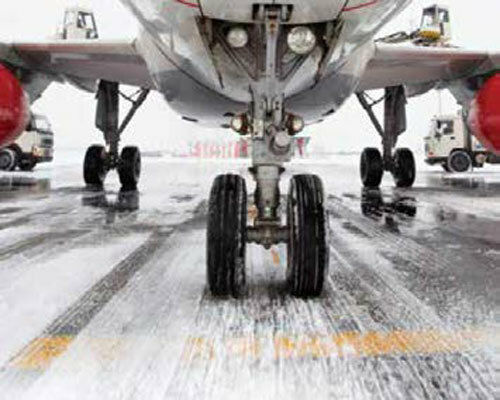 This chemical has been effective at European airports for two decades as it significantly reduces the freezing point of water, making it an effective runway deicing agent. Potassium formate can be a drop-in replacement for potassium acetate with comparable effectiveness, utilize existing deicing equipment, while reducing COD loading into the environment or wastewater treatment facilities. 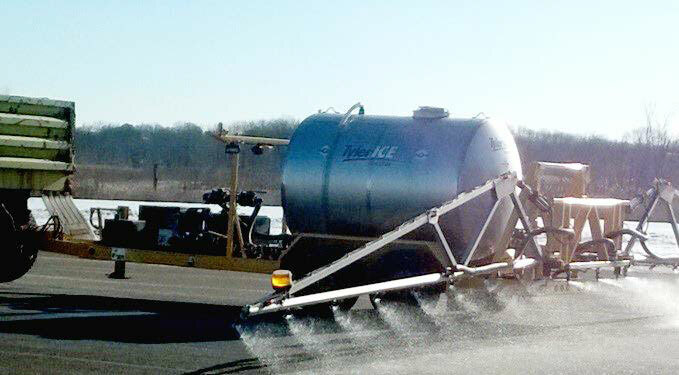 It is typically utilized in anti-icing applications to prevent ice and snow buildup, but it can also function as a sole runway deicer to keep runways open and clear in cold weather environments. Potassium formate functions by depressing the freezing point of water to melt ice and snow accumulation, and prevent re-freezing. Once it is effectively applied to a runway surface, the solution becomes diluted with a practical freezing point of -32°C (-26°F) at 50% concentration. When the potassium formate, an ecofriendly runway deicer, enters the airport wastewater treatment facility, its low oxygen demand minimizes COD loading and improves processing efficiency. Sodium chloride-based salts disturb the water and nutrient balance of plants in the soil, degrade infrastructure such as buildings, roads, and bridges, and increase particulate pollution in cities. With the costs of replanting trees or shrubs, repairing infrastructure, and providing additional city clean up, potassium formate becomes an efficient deicing agent alternative for a sustainable future in non-runway applications. Potassium formate is a drop-in replacement for potassium acetate that utilizes typical airport deicing equipment. 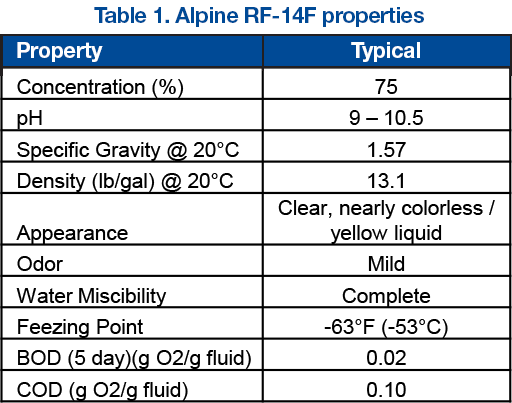 Alpine RF-14F typical values are represented in Table 1. 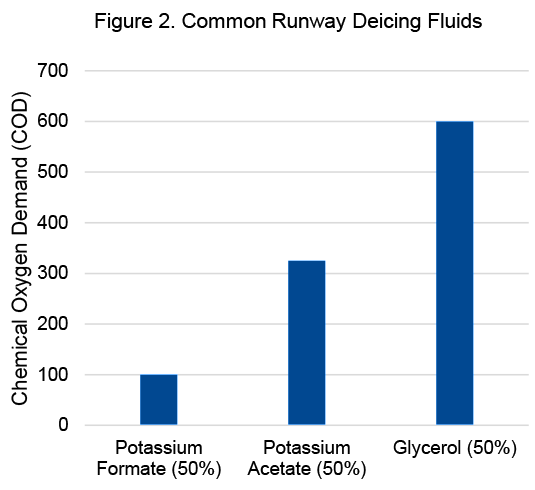 ​Potassium formate has the lowest COD among commonly available runway deicers, approximately 0.1g COD per gram of fluid deicer at 50% concentration, which is displayed in Figure 2. ​NASi and BASF conducted a trial at Morristown Airport in NJ to evaluate the performance of Alpine RF-14F. The outcome resulted in quick ice melting while maintaining aircraft braking action. Alpine RF-14F performed well as an anti-icer before winter events occur, and as a deicer of frozen taxiways. With a new domestic supply of formic acid from BASF, Alpine RF-14F is readily available with short delivery times from NASi, Nachurs Alpine Solutions.